this is not the way I see it at all….. 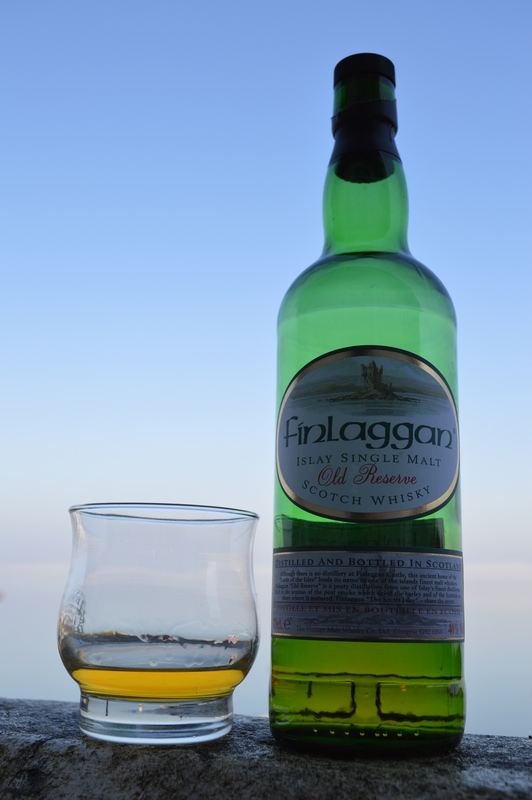 I did my tasting on Saturday 27th June 2015 in Islay. It was an overcast damp day with spots of sun. It was 8pm and I had a fire on! Pours a bit pinkish. Quite creamy in glass. Fast oily legs, thickly oily. Good band of gold on surface. Smells dusty and of cherries. Salt and old wood, heavy under note. Not a bubble on the surface of the dram ~ very flat. Redcurrants, hot & cold. Giving an interesting nose ~ if this were a person I would wish to talk to them. Smell of coal, honey and vanilla. Liquid stays very solidly together. A smell of Butterscotch. Reminds me of golden barley fields ~ and …ladders!? ~ and a wet cloth in the kitchen sink. Then honey, beeswax and polish. Shortbread. 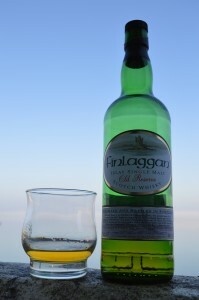 This dram is very ‘together’ when you swirl it. The liquid has a greenish, blue tint. Green gorse needles. An old fashioned dram. A store room at primary school with old wooden desks. On the nose this dram has an interesting character ~ a guy not wearing a suit, wearing his own clothes and looking interesting, but not vague. Very definite. A bit edgy and eccentric perhaps ~ but in a strong way. Not at all scatty. Starting to smell ‘warm’ now. I am getting intoxicated on the fumes. Birch bark. A length of interwoven material ~ deeper in pockets, with threads and layers creating texture and fullness. Now, there are far away strawberries, & beaches with the sea coming in flat and frothy at the edges, swirling round rocks sticking out of the sand, and creating moats in the sand around them. Honey moon, bees and flocks of birds. Like starlings or terns at the beach. Olive and marigold. Palate: So oily you can chew it! So sweet. Texture overwhelms. Not much of a finish. Hardly any peat in the finish. What a disappointment after the nose…. This dram is just a sensate man ~ No intellect. Nice Person. Base is strong and sweet and fluffy and textual. 2nd Palate: More interesting ~ salty up top, liquorice here, spice coming through now ~ flicker of strawberries, slighty smokey. One drop of water ~ Too cloying for me. If this were a person I would have nothing against them, except, they would bore me rigid…..